When submitting a digital file, it needs to be “print ready”. We request that you send us a PDF as we prefer to work in a PDF workflow, but a high quality JPEG will work as well. When creating the JPEG, make sure your artwork is at least 300dpi (or better), and that it is saved at maximum quality. In addition to preferred PDF files, we can handle many of the application files available on the market today. Send us your file and we’ll check it out. To make sure that your art files print with clear crisp images, we require that the artwork you supply has a resolution of no less than 300dpi. Artwork submitted with resolutions lower than 300dpi can produce blurry, bitmapped, or pixelated print. Note: Images copied from the web are typically 72dpi. They may look good on your monitor, but they are not suitable for print. They also may present copyright issues. 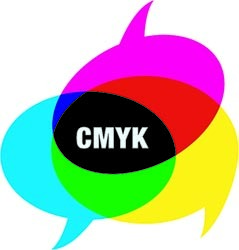 CYMK (Cyan, Magenta, Yellow and Black) is the industry standard formula. It was created to give accurate color reproductions. Artwork submitted using Pantone®, Spot, or RGB will be converted into the CMYK format when using a digital press. This may cause some slight color changes. If you need an exact duplication of a Pantone® color, make sure to tell us so that we may use the offset process to produce your order. Our CMYK workflow is monitored and calibrated to maintain these industry standards for color. Your monitor or personal printer may not be an accurate representation of the color you chose in the artwork you supplied to us. That’s one of the reasons why we recommend you proof your job before we print it. All text and logos must be a safe distance from the edge of the final trim sheet. You should have at least .25” (1/4”) of space between the text and the edge of the final trim sheet. Bleed refers to printing an image that goes beyond the edge of the sheet after trimming. For example, to get the background of your flyer to be black all the way to the edge of your sheet, the color must bleed past all of your edges. If the background isn’t designed bigger than the finished cut size, you could see white areas on the edges of the finished piece due to variations in printing and trimming. It is recommended that an area of approximately .125” (1/8”) be created as a bleed area to be cut away on all sides. If your file does not print to the edge of the sheet, bleed is not necessary. Crop marks are small lines indicating where the product will be cut. 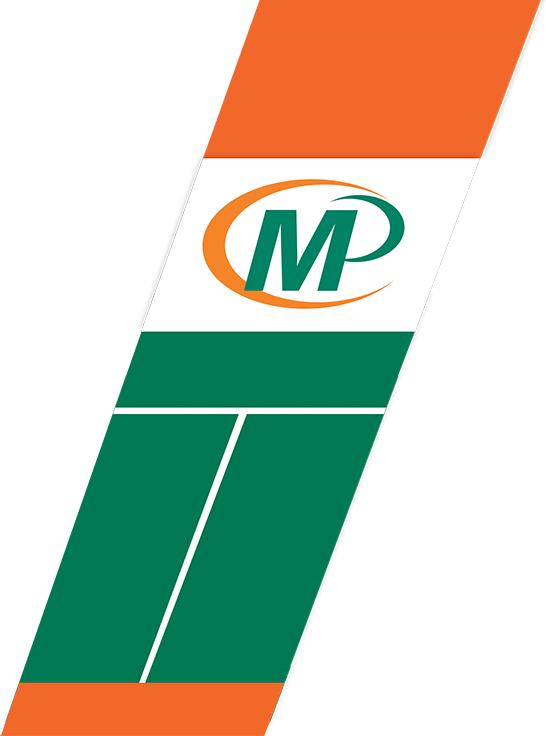 In order for project to be finished properly, crop marks are used to determine where to cut the product. If there is bleed, it should extend beyond the crop marks by 1/8”. Crop marks are not as important as bleed. A file containing bleed but no crop marks is acceptable. A file containing crop marks but no bleed is not acceptable. The graphic file you send us should be complete. If our graphics department has to make changes to the file (e.g. resize, adjust color, add bleed, etc. ), there will be added charges. If that happens, we will always notify you first. Many times there are small issues that can be corrected with little or no cost to you. Below are examples of the specific sizes required when creating a product with a bleed. Remember to add .25” (1/4”) to the finished size of the artwork to allow for .125” (1/8”) bleed on each edge. Business Card 3.5" x 2" 3.75" x 2.25"
Flyer 8.5" x 11" 8.75" x 11.25"
Brochure 11" x 17" 11.25" x 17.25"
Please be advised that you must adhere to all Copyright laws that govern the copying and reproduction of copyrighted materials. You must investigate and confirm that any material which you reproduce does not infringe upon or violate any copyright or other proprietary rights. Proper permissions and/or releases should be obtained from the holder of any copyrighted materials prior to reproduction.